There was to be no surprise after fans had waited through a barren morning for MotoGP qualifying. 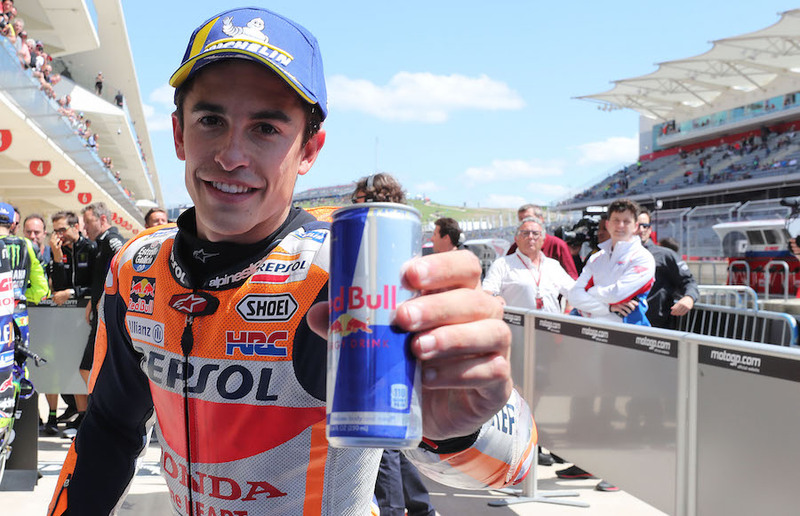 As every year since the first visit to CotA in 2013, it was the thrilling brinkmanship of Marc Marquez that put his Repsol Honda on top of the time-sheets. It was accomplished with the usual brinkmanship, on a slippery and bumpy track washed clean by heavy rain that had seen all morning free practice cancelled, and in windy conditions that triggered several violent tank-slappers at top speed down the long straight. “Today was a strange day, and qualifying was so windy it was shaking the bike. I don’t have the best set-up, but I was able to be constant and do two fast laps in a row,” he said. 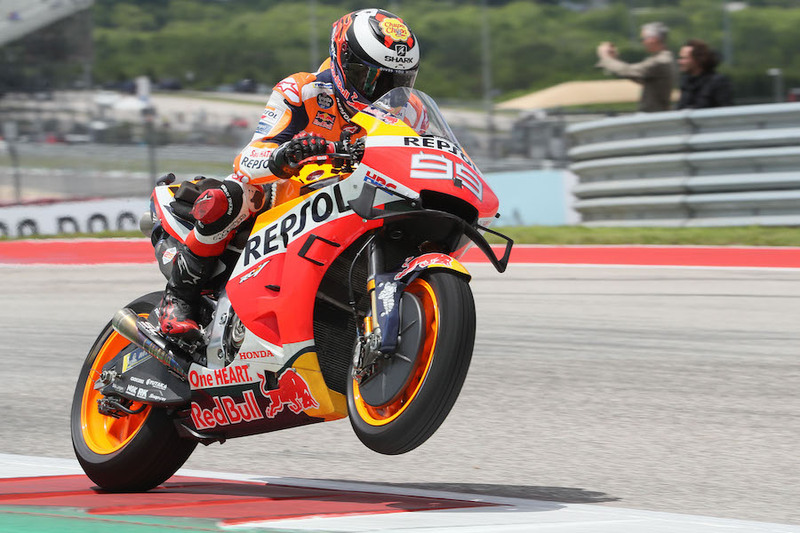 Having dominated FP4, Marquez consolidated his position with a time close to the race record, although some 1.6 seconds slower than his all-time best lap, taking an advantage of better than a quarter of a second over the next man. 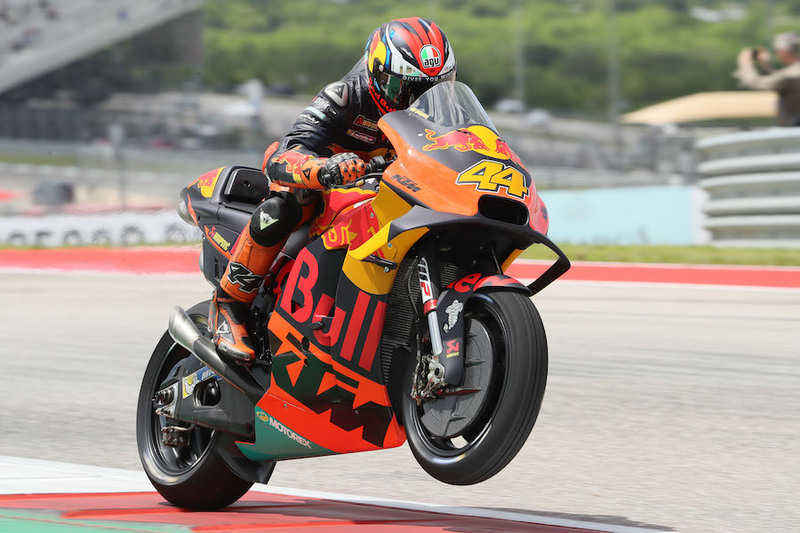 Espargaro, MotoGP, Grand Prix of the Americas 2019. Lorenzo, MotoGP, Grand Prix of the Americas 2019. 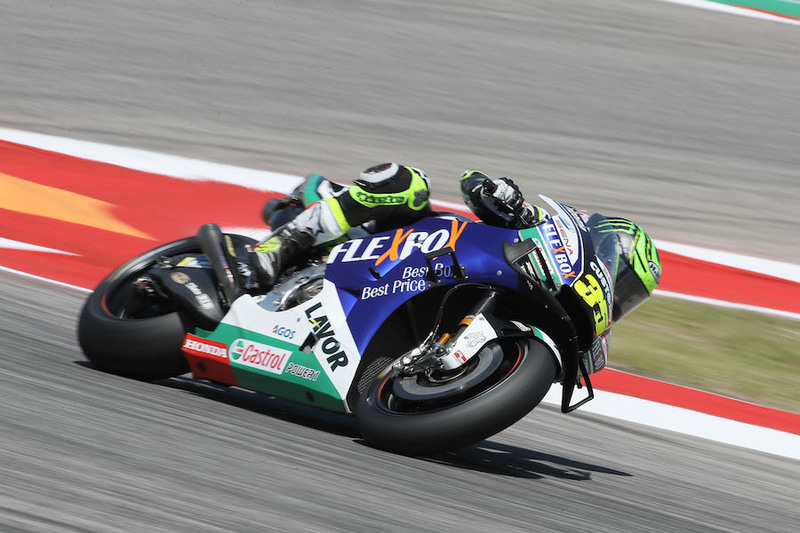 Crutchlow, MotoGP, Grand Prix of the Americas 2019. 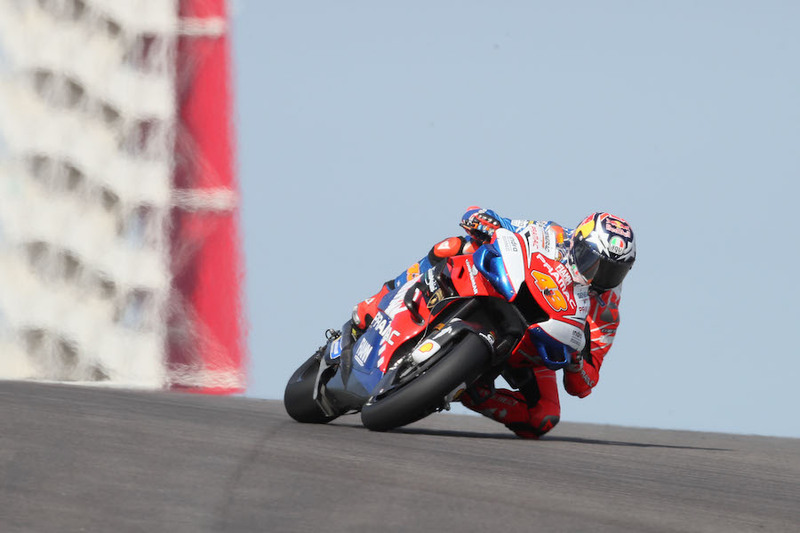 Miller, MotoGP, Grand Prix of the Americas 2019. 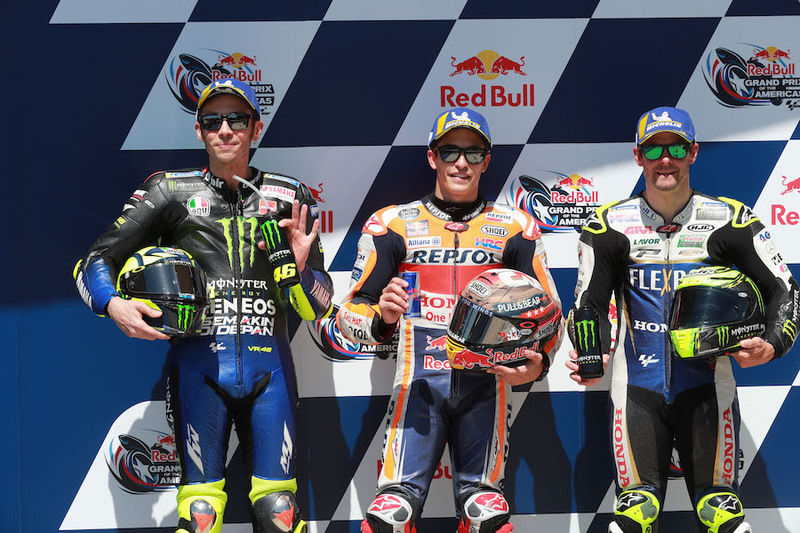 That man was a jubilant Valentino Rossi (Monster Yamaha), back on the front row for the first time this year, as the 40-year-old’s early season renaissance continues, following his fine second place in the last round in Argentina. 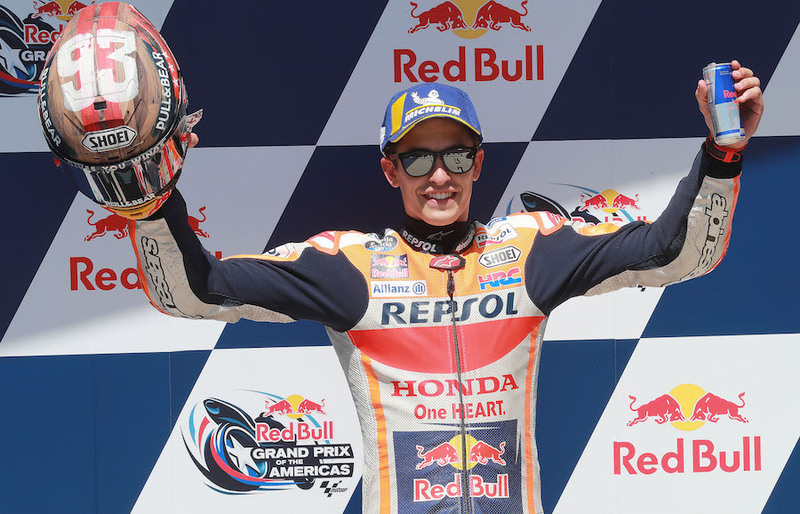 “It was difficult, but I feel good on the bike; we have good balance and a good setting for the dry. Now we wait for the conditions and to make a tyre choice that will be very open,” he said. Equally delighted was third-fastest Cal Crutchlow (LCR Honda), after deposing top Ducati qualifier Jack Miller (Pramac Ducati) from the front row to lead the second. Alongside him, Pol Espargaro gave the Red Bull KTM its best-yet grid position, with yesterday’s time-sheet leader Maverick Vinales (Monster Yamaha) sixth, barely a hundredth of a second slower. Alex Rins (Ecstar Suzuki) leads row three from Danilo Petrucci (Mission Winnow Ducati), the last rider within a second of Marquez; rookie Fabio Quartararo completes row three; Petronas Yamaha team-mate Franco Morbidelli rounds out the top ten. 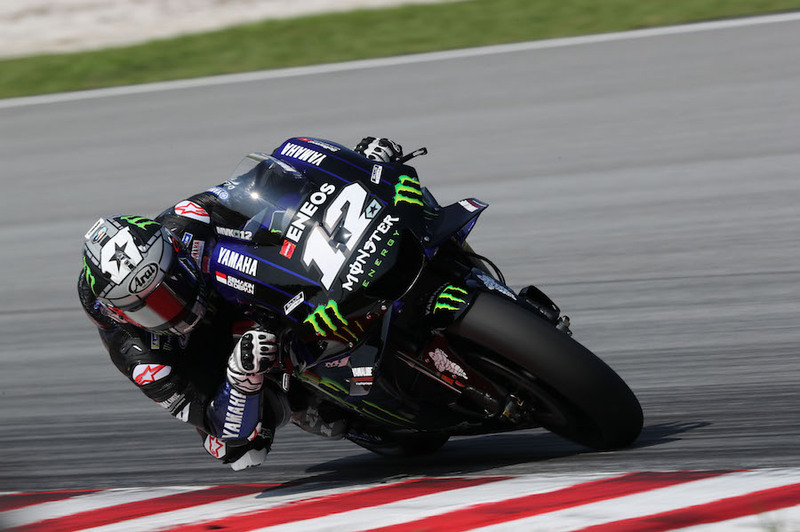 Jorge Lorenzo (Repsol Honda) ended up 11th after coming through from Q1, as did Petrucci; Pecco Bagnaia (Pramac Ducati) was 12th, after crashing early in Q2. 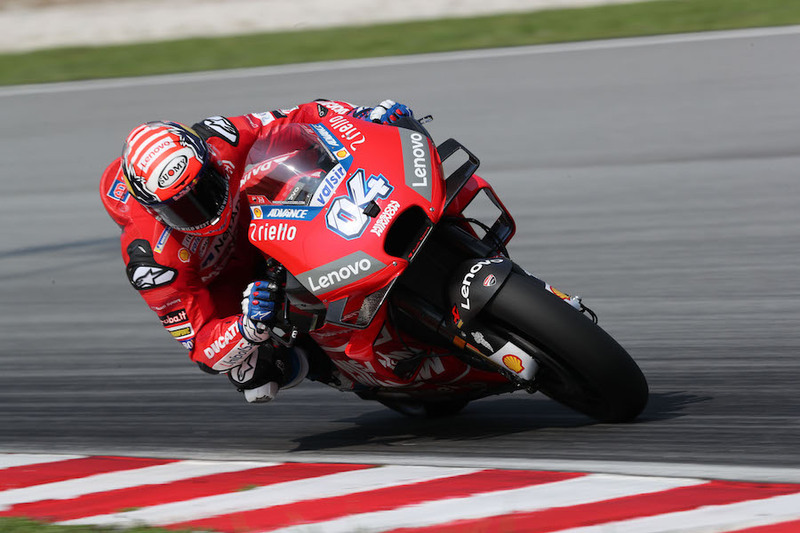 This left factory Ducati rider and Qatar GP winner Andrea Dovizioso with a hard task at a difficult track, heading the fifth row after finishing only third in Q1. German Marcel Schrotter claimed a second pole position in three races in the last qualifying of the day, as Moto2 positions shuffled in the closing stages of a sunny but very windy session. The Dynavolt Intact rider first displaced team-mate Tom Luthi; but by the end the Swiss veteran had been dropped to fourth to lead row two, as both Alex Marquez (EG-VDS Kalex) and finally former CotA winner Sam Lowes (Federal Oils Kalex) made it to the front row. Schrotter described dire conditions, with “not much grip and a lot of wind on some corners”. Red Bull KTM rider Brad Binder had come through from Q1, but was also pushed off row one, ending up fourth ahead of Jorge Navarro on the Speed Up. Returned veteran Mattia Pasini, substituting for injured Flexbox HP40 Kalex rider Augusto Fernandez, leads row three from class rookie Jorge Martin (Red Bull KTM) – also through from Q1, and Simone Corsi (Tasca Kalex); with Luca Marini (SKY VR46 Kalex) completing the top ten. Argentine podium finisher Remy Gardner was left in 18th after a gust of wind triggered a heavy crash early in the session; Argentine GP pole qualifier Xavi Vierge was also out of luck, the EF-VDS Kalex rider unable to escape from Q1, to start from 20th place. American rider Joe Roberts (KTM) was 22nd. Moto3 did the pioneering work on a drying track, with relative veteran Nico Antonelli (SIC58 Honda) half-a-second clear of front-row first-timer Raul Fernandez (Sama Angel Nieto KTM) and new Kommerling Honda rider Gabriel Rodrigo. As usual, times were dropping as the track dried, and long-time session leader Darryl Binder (CIP KTM) was dropped to fifth, alongside the man who beat him to second in the last round in Argentina, Jaume Masia (Bester Capital KTM). Both these KTM riders had won through from Q1. Alongside them, Sterilgarda KTM’s Aron Canet, whose hopes of the front row were dashed with a late slip-off. Second SIC58 rider Tatsuki Suzuki leads an all-Honda row three from John McPhee and Alonso Lopez; Marcos Ramirez, also through from Q1, rounded out the top ten, one place ahead of Leopard Honda team-mate Lorenzo Dalla Porta, another to slip off. Yesterday’s leader and former double winner Romano Fenati (Snipers Honda) was alongside in 12th.